Oh dumplings, how I love you. There aren’t a huge number of restaurant offering dumplings in Canberra, but the CBD Dumpling House is (obviously) one of them. 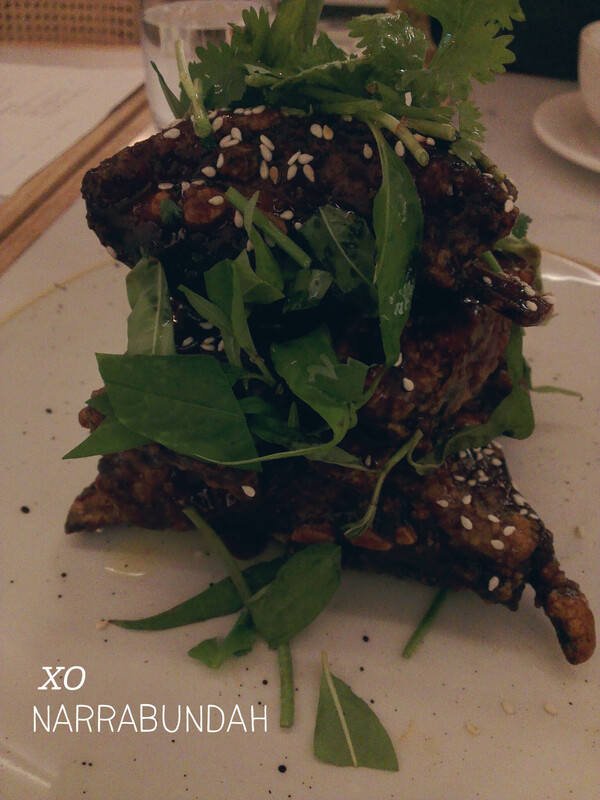 We went early on a weeknight and were seated in the window towards the back of the large, airy space. 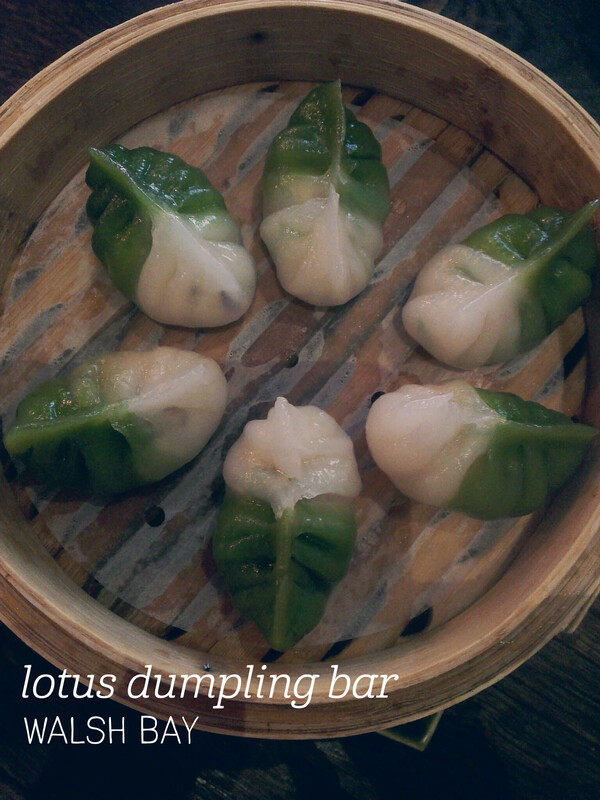 We started with a plate of prawn and pumpkin dumplings, which had a generous 14 dumplings in the serve. The prawns were whole and really tasty, with the tender pumpkin complementing the flavour nicely. The dumpling skins are a bit thick for my taste, but that was my only complaint. Dish number two was the steamed vegetables in a peanut sauce – I think this was actually the highlight of the meal, with perfectly crisp carrots, bok choy, mushrooms and broccoli that was so good it tasted creamy, doused in a heavenly peanut sauce. More please! We finished off with a plate of the shantung lamb, which is definitely not the sort of dish to have if you’re on a health kick. 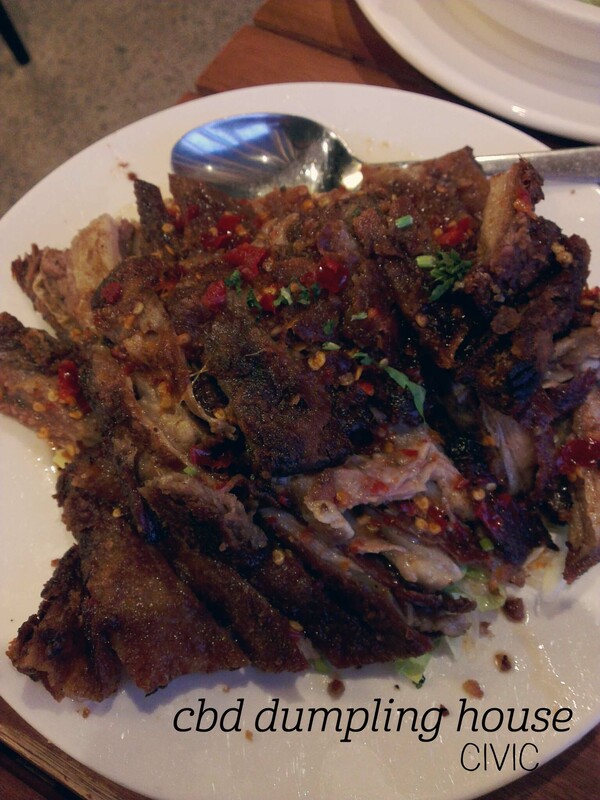 The pieces of spicy lamb are fried to crispy and sandwiched with fat – but gosh it tastes amazing! Reliably good food. I know people rave about Ding Tai Fung, but to me, Lotus make the best dumplings in Sydney. Yep, I called it. This title was definitely reinforced on a recent visit. We started out with a Jade Forest cocktail – Citron Absolut, mint, lemon juice and soda blended into a perfectly integrated, light and refreshing drink that was dangerously delicious – be warned, you will probably want more than one. We had two dumpling courses, and as the serves normally include four dumplings (and there were three of us), the waitress asked if we wanted portions of six (yes) – great service. The jade prawn dumplings were the standout. With two-toned, thin, sticky skins, these are the closest thing I’ve found to the dumplings I had in Guangzhou. The filling had fabulous identifiable individual textures (i.e. it wasn’t a blended mush) – plus the prawns were super juicy. Oh yum. Next were the pork xiao long bao, which were as silky and lovely as I remember. We then had the black pepper beef, which was incredibly tender and slathered in a delicious marinade, served with perfectly steamed asparagus and baby corn, and the crispy eggplant, which was deep fried, crispy on the outside and pillowy soft inside. Mmm. Lotus, you are undoubtedly my favourite. Sometimes the universe brings things together that are just meant to be. Apple and cinnamon, for example. Or banana and Nutella (can you see where I’m going with this?). On this fortuitous occasion, the magic things were ‘Golden Gaytime’ and ‘doughnut’. Yep. Not even kidding. 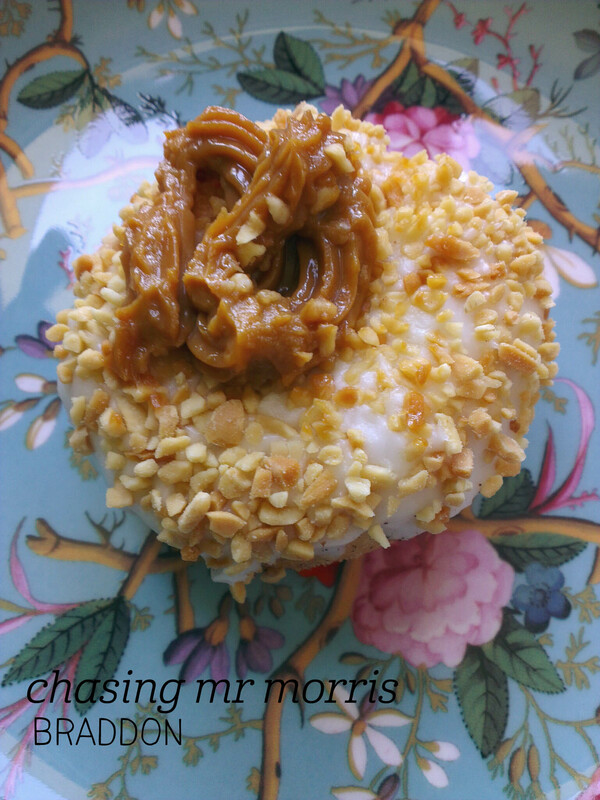 This was only my second doughnut from Chasing Mr Morris, and I’d found the flavour last time to be a bit too subtle for me. No such trouble this time. The Golden Gaytime flavour was achieved by adding two of the best things ever onto the icing layer – peanuts and dulce de leche. Oh yeah! Whilst it didn’t scream Golden Gaytime, who even cares because it tasted so damn good?!! Dulce de leche is an Argentine treat basically made by cooking condensed milk, so it’s really rich, sweet and creamy. The slight saltiness from the peanuts was fabulous, as was the crunch they added. The doughnut itself just had to bring that lovely golden doughnutty flavour to the party, which it did, and voila, probably the best doughnut I’ve had in my life. So get on it people, this is top notch dessert material! 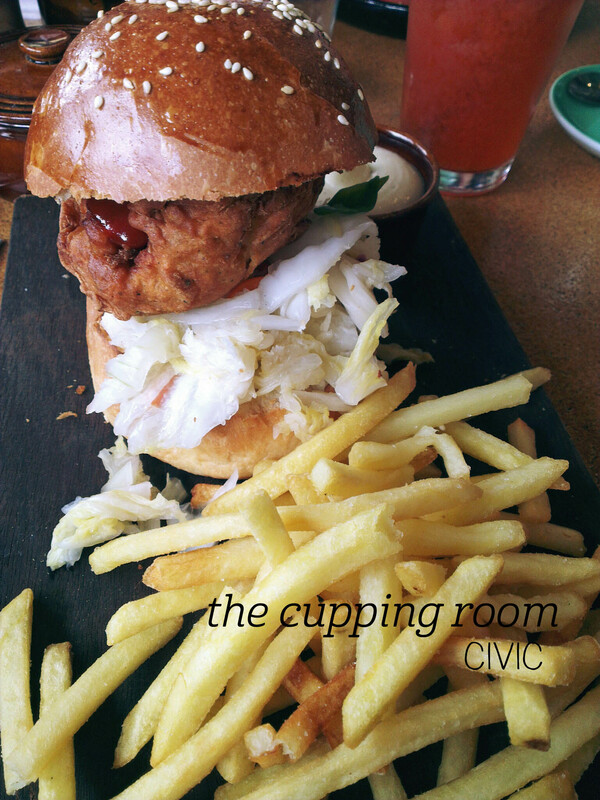 This was my first visit to The Cupping Room for lunch – finally, I could try their famous burgers! The spring menu is full of delights, and I couldn’t go past the lure of a Korean fried chicken burger with kimchi ($20) – swoon. I started with the strawberry, apple and mint juice, which was beautifully presented in a large glass and was really refreshing – strawberry and mint belong together! The burger arrived shortly afterwards and was piled nice and high with white kimchi and the fried chicken. I was expecting the chicken skin to be really crispy, but instead it was more slightly chewy to get through to the succulent meat inside. There was some magical sauce drizzled on top that brought a bit of spice to the party, since the kimchi wasn’t overly hot (thank goodness, given how much there was!). Some fresh cabbage added a bit of crunch too. 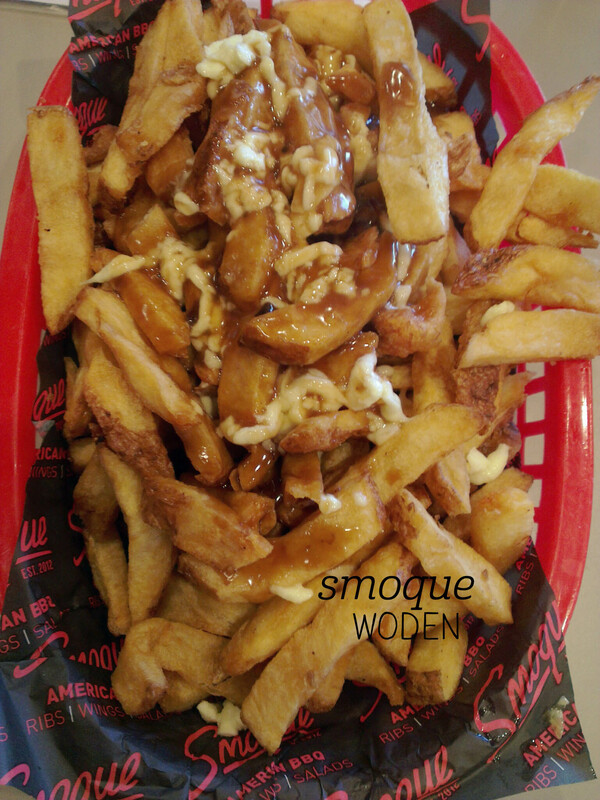 I loved the fries, which were lovely and crisp and served with a generous portion of aioli – no scrimping here. 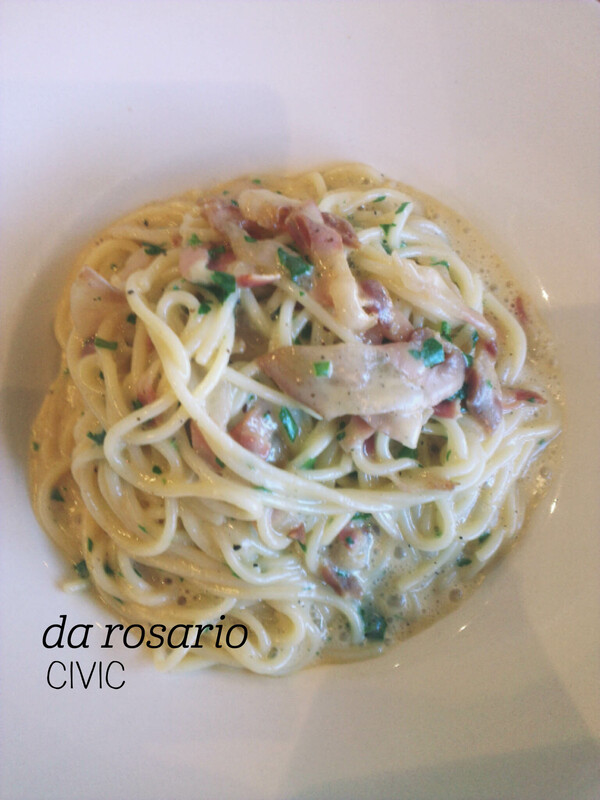 Overall this was an excellent, if slightly too filling, lunch and I’d definitely come back to have it again.